Our Deodorant uses the natural antibacterial properties of magnesium to kill underarm bacteria and keep you fresh without harmful chemicals. Witch hazel also kills bacteria and rids skin of trapped moisture and oils; while corn and tapioca starch absorb moisture naturally. Lightly fragranced with essential oils of sandalwood, lavender and mandarin. Deeply nourishing and soothing, these 'double' Magnesium bath crystals are a natural combination of magnesium chloride and magnesium sulphate (Epsom) salts. Amazing product. I have been using Magnesium Deodorant for some time now and I am very happy with the results.The product is sourced and made in Australia. It is completely natural and very effective when using regularly. Thank you Ancient Lakes Magnesium team for such a great product and an exemplary customer service. Many times over the years I have tried to use natural deodorants, including just Tea Tree essential oil without any success. I could smell myself either after a few days or after a few weeks. Following Frank Lister's suggestion, I applied a few drops of the Magnesium bitterns underarm and, because I work close to people's faces, I also used the deodorant. It is now about two months later and I still don't smell! Deodorant was the last 'nasty chemical containing' product I got rid of. So happy, thank you Frank and team for all the work you do. I can't wait for it to be back in production and order more. I have shared this experience with family and clients also. I've been testing this deodorant under just one armpit to see if there is any difference after a days work on the farm. I'd suggest you give it a try for a couple of days as well. Interestingly when I stopped using it, after a few days I could still detect a difference. I wonder if the deodorant is selectively knocking off the bacteria and reducing the smelly microflora under just one armpit. I've been trialling this deodorant for several months and I love it. It's completely natural, Australian made and all ingredients are locally sourced. Not only does it work well as a deodorant, but I've also found it's also fantastic for insect bites and heat rash. There is always one in my handbag or backpack because of its versatility! I have had problems with ordinary deodorants reacting on my skin with itchy rashes and had to give up using them. 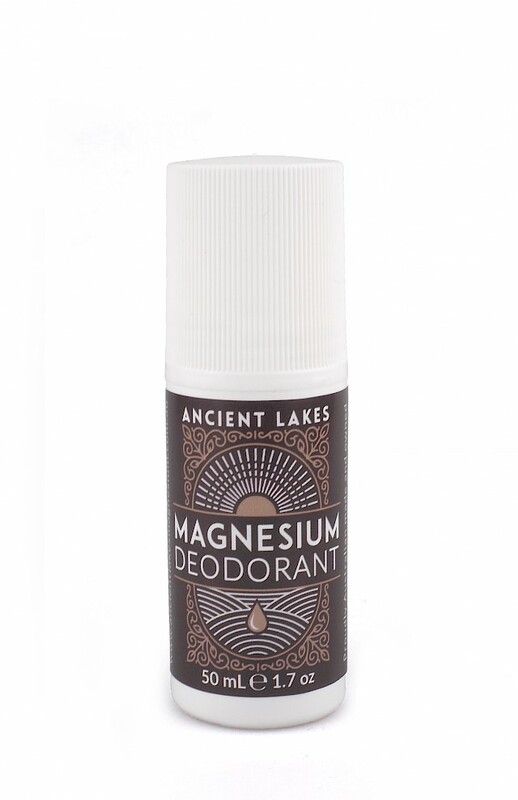 I decided to try Ancient Lakes Magnesium Deodorant after I read about where they came from and how they were made. I am so happy with the results and have had no itchy rashes at all. I also love the fresh fragrance. I had the pleasure of trialing this lovely deodorant, I love that they sourced Sandalwood E/O, Lavender, Citrus. The fragrances changed during the day, it was not sticky and didnt leave a residue. The bonus for me was its great for bug bites, mozzie and even tick bites. YES, tick bites, it takes the itch out....worked for me! I was fortunate to trial this amazing product. I have been trialling this product and I have found it to be really good. It has a nice smell is easy to apply it is not sticky like some deodorants. My husband who is sensitive to deodorants finds he has no reaction with this product. It is natural and I plan to order more of it when it becomes available for all my family members.